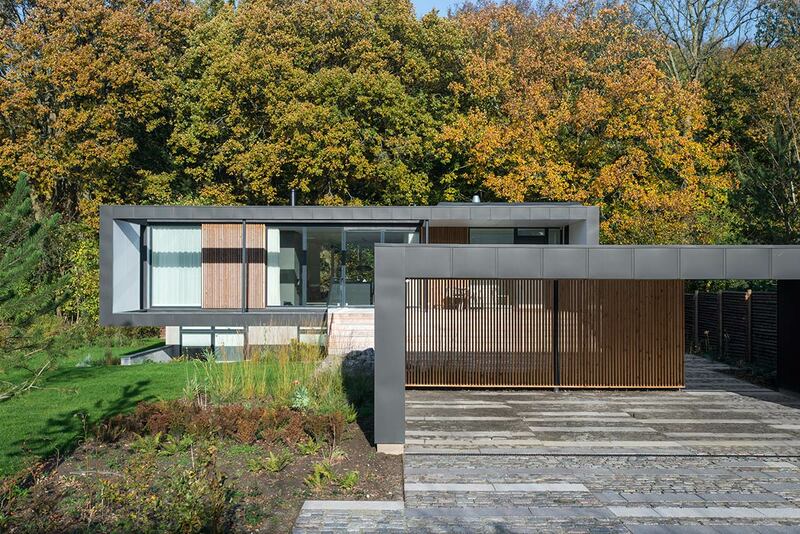 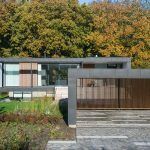 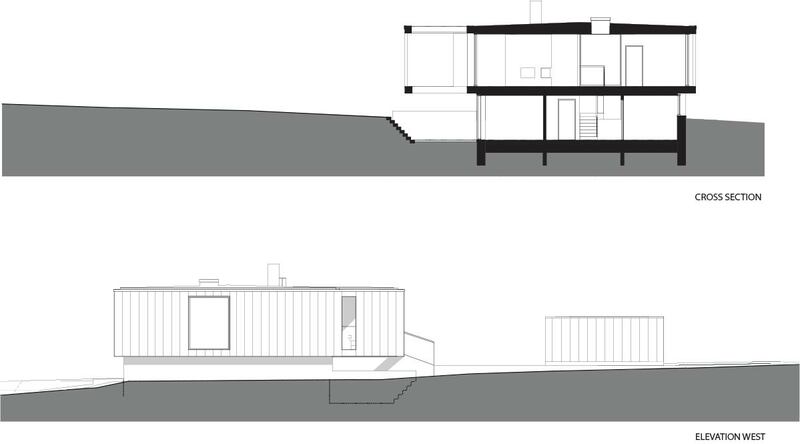 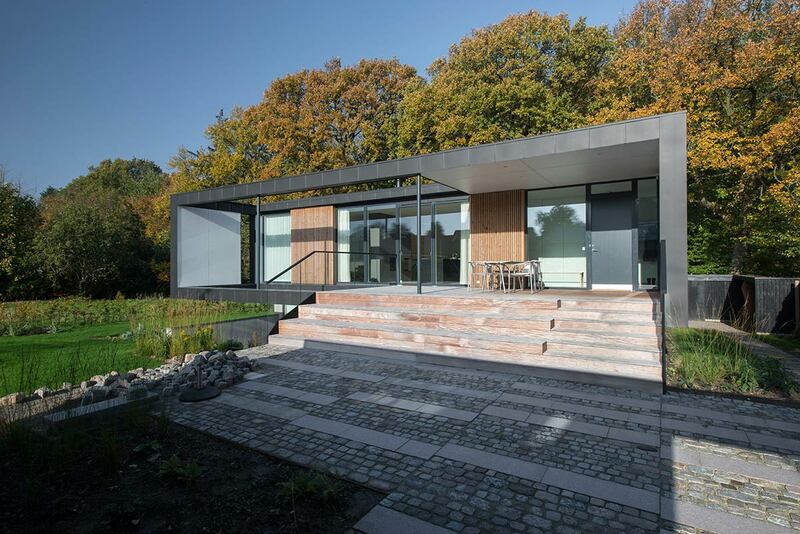 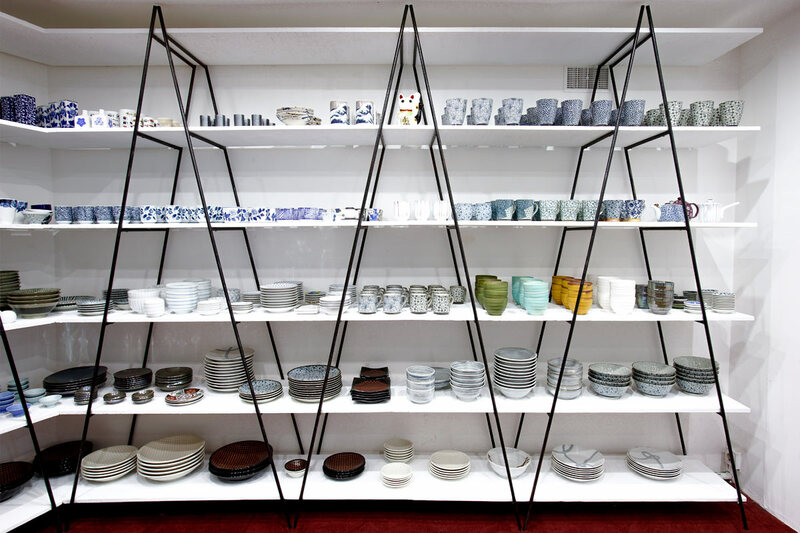 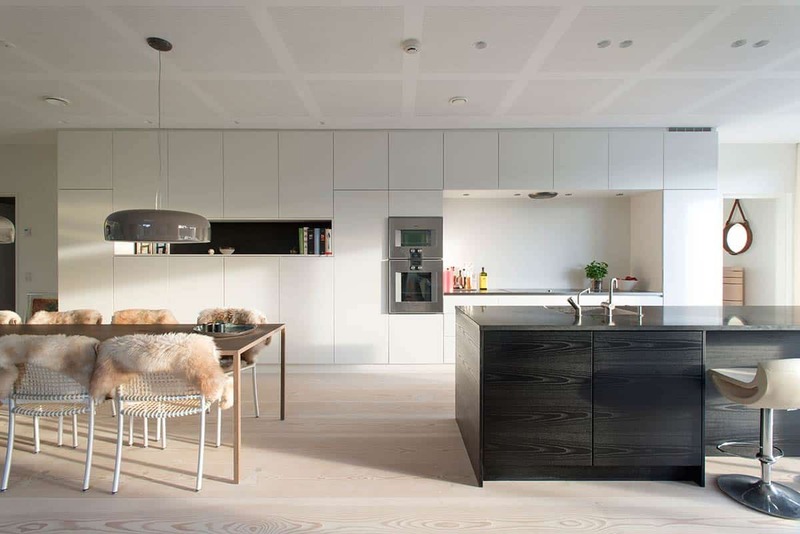 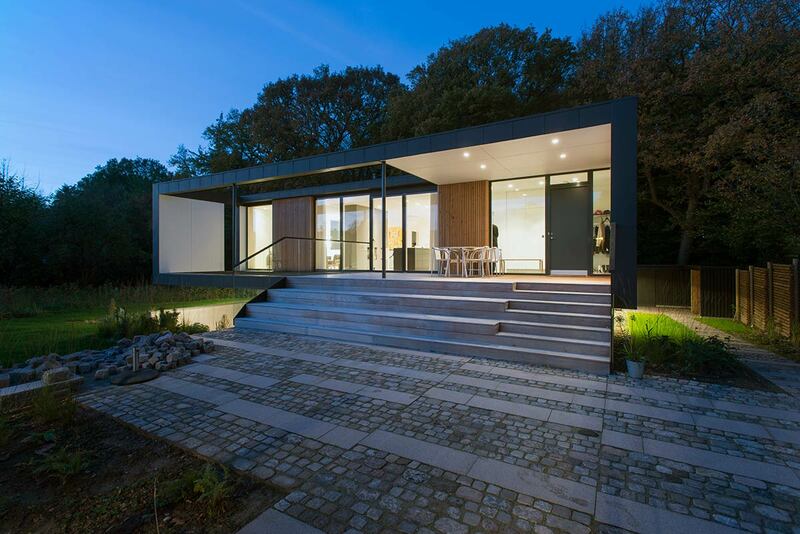 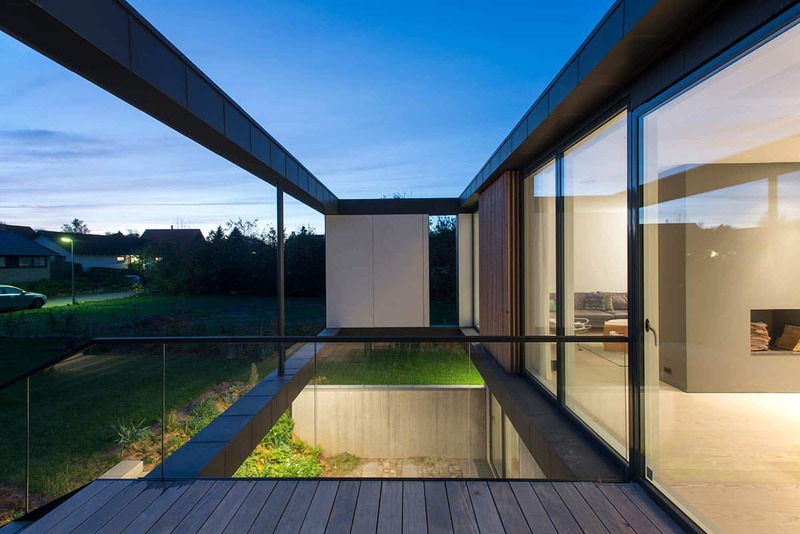 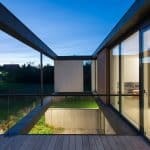 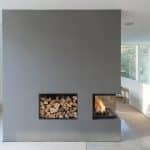 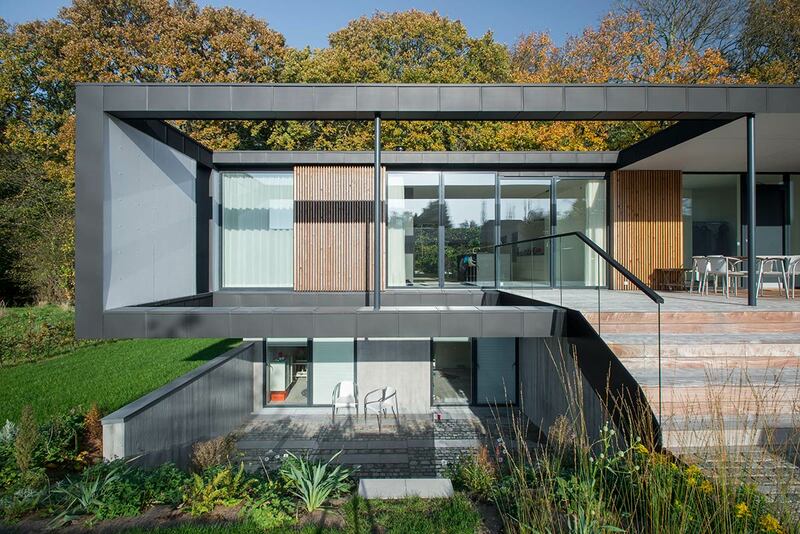 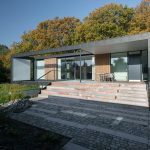 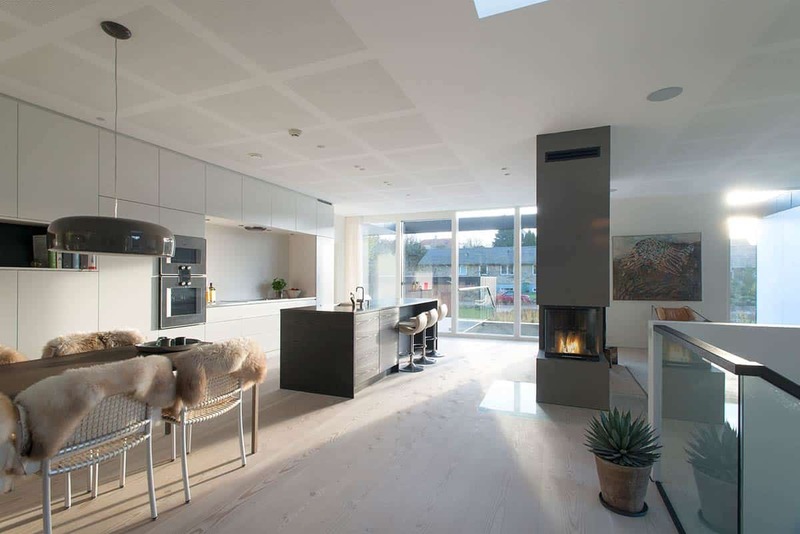 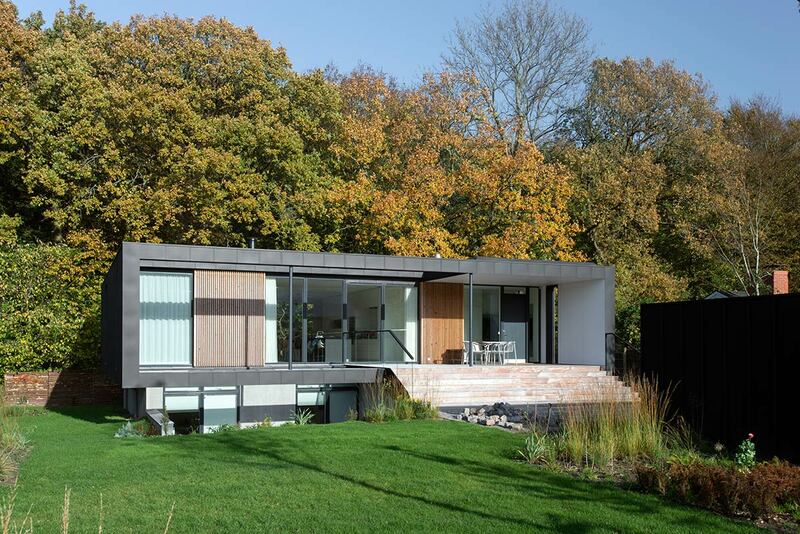 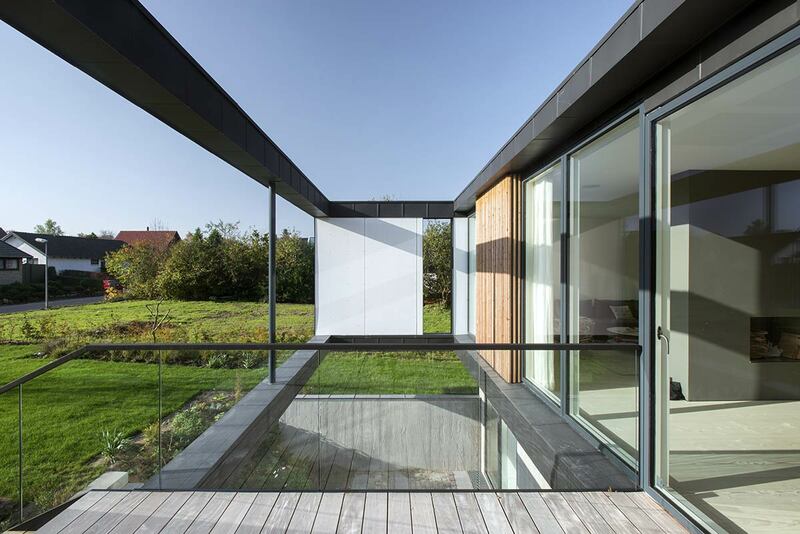 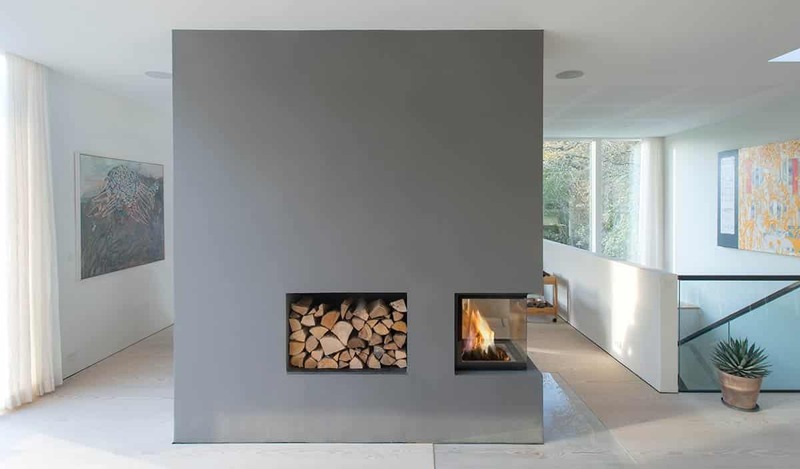 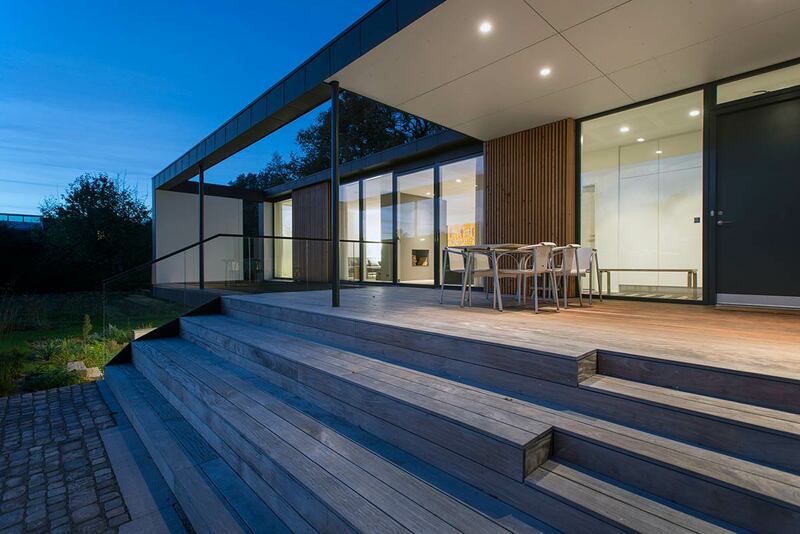 Villa R is located in a forest edge in Aarhus and is positioned as close to the trees as possible. 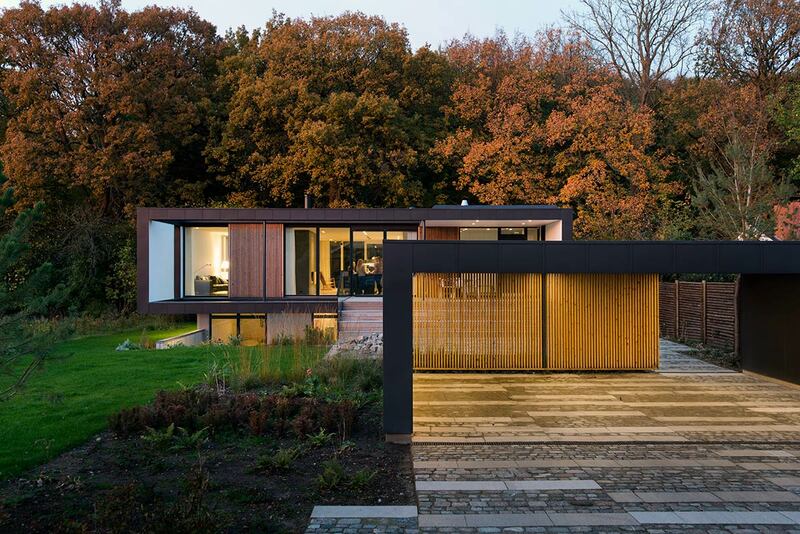 Inspired by the unique relation to the woods, the objective was to create a house that brings the forest inside through large glass panels – and create an ever-changing seasonal backdrop for the interior living spaces. 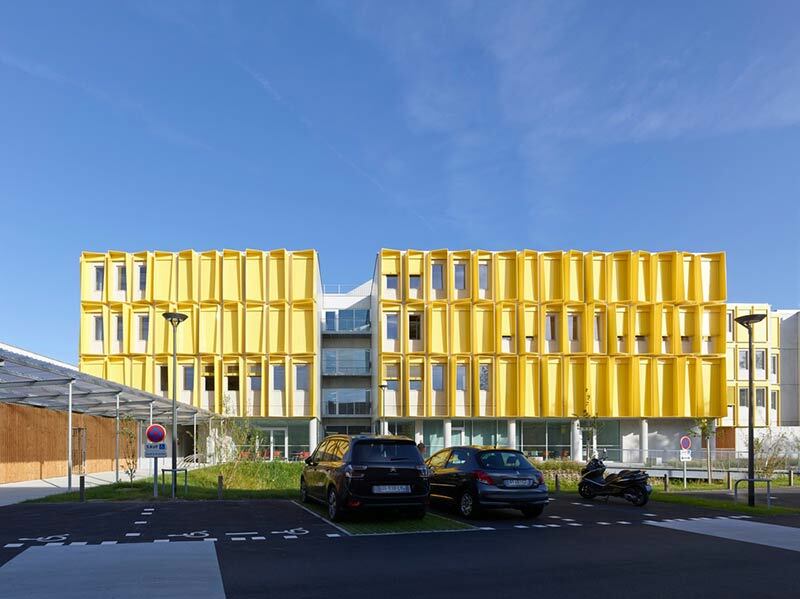 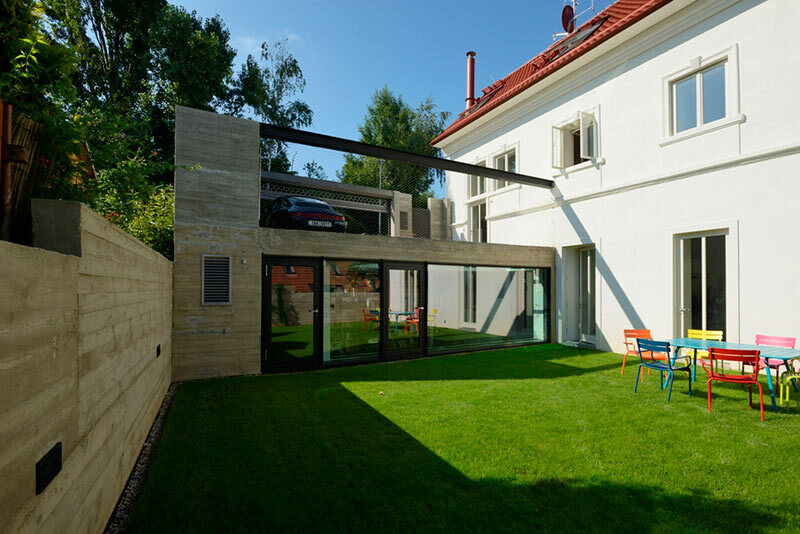 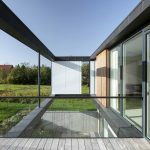 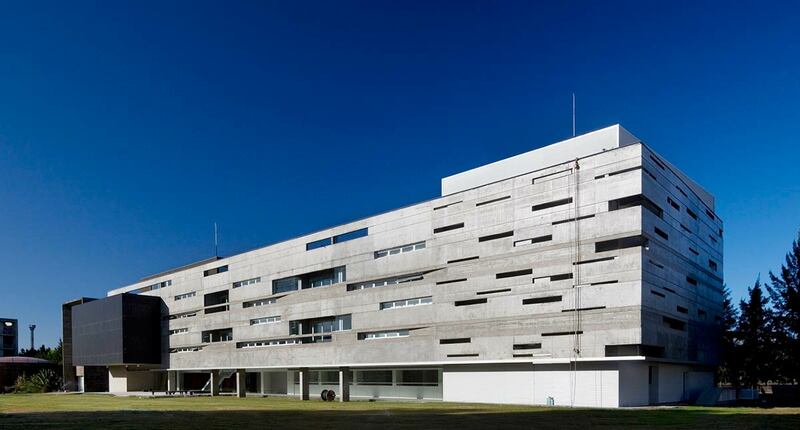 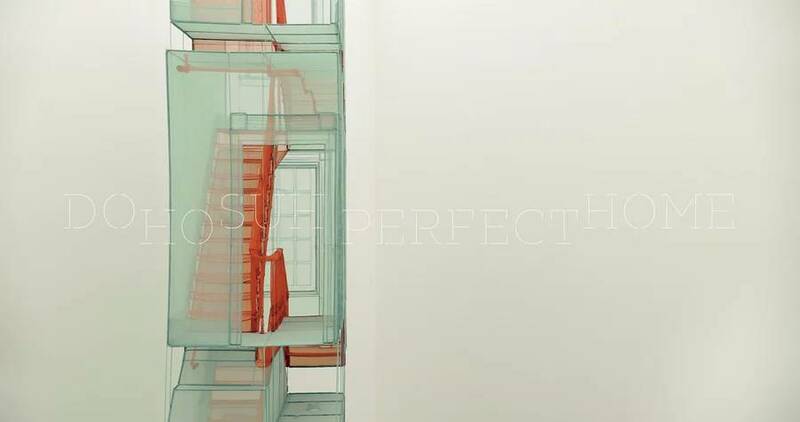 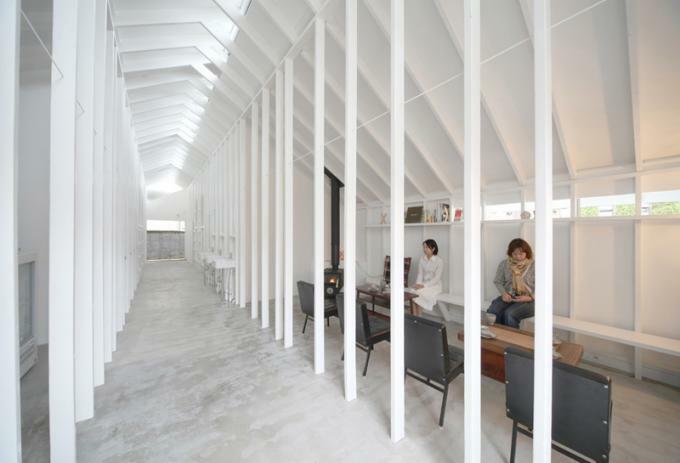 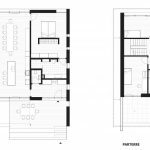 The aim was also to create a child-friendly house with dedicated areas for playing – and combine it with the challenges inherent in the local regulations; for example the house could only be one storey tall, and had to occupy less than 20 percent of the site area. 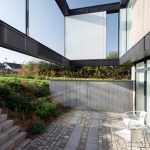 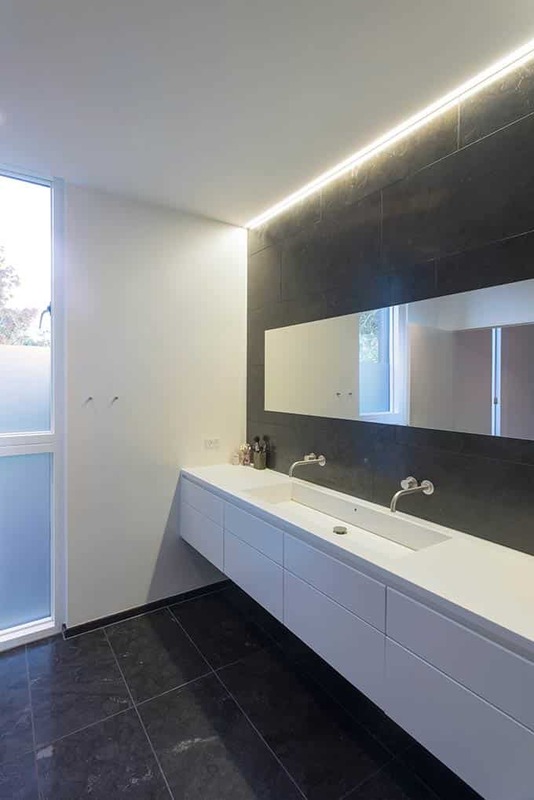 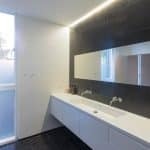 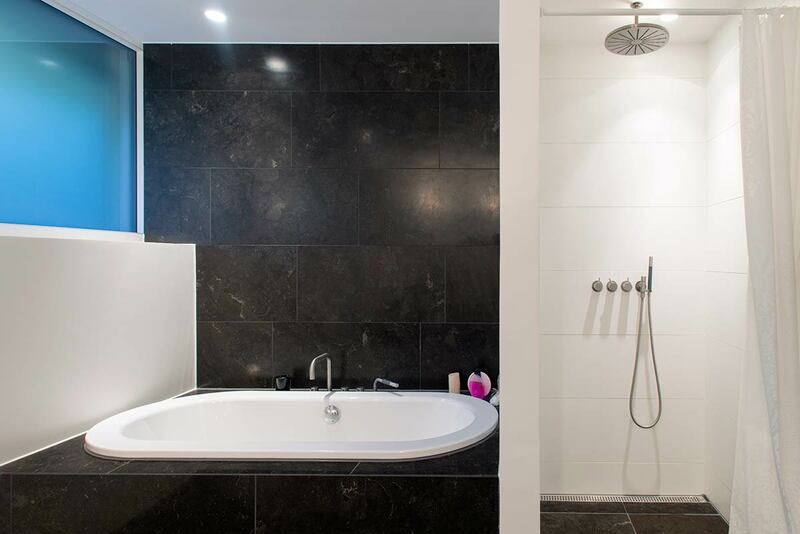 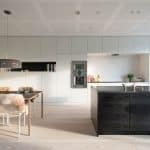 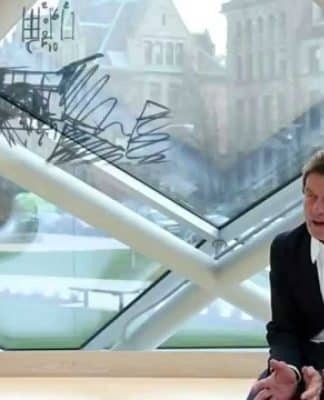 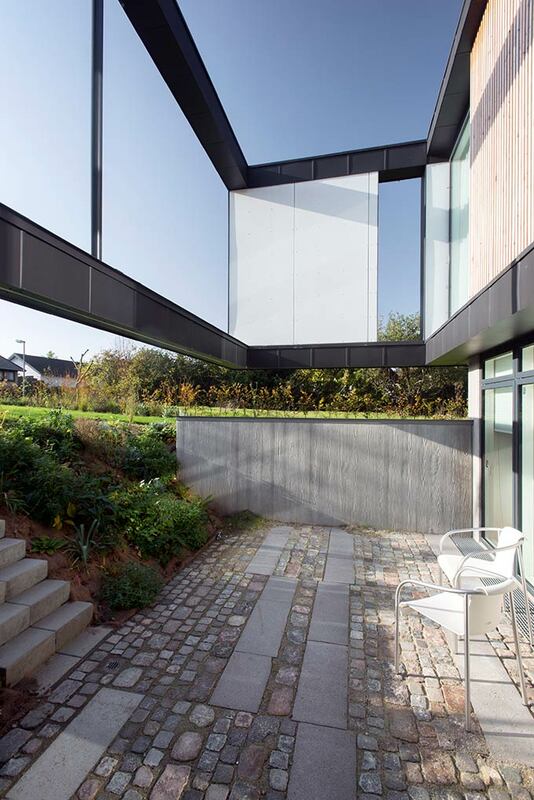 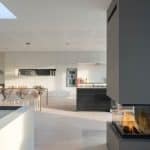 The solution was a partially underground parterre floor which acts as the building’s base, with children’s rooms, playrooms and access to an outdoor patio. 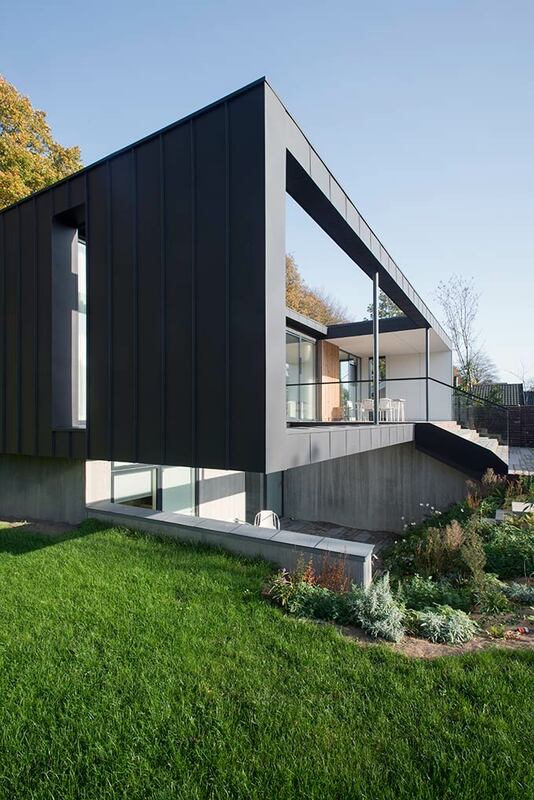 The upper part, covered with dark patinated zinc, is seemingly hovering above this base. 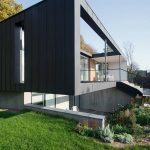 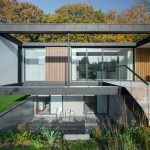 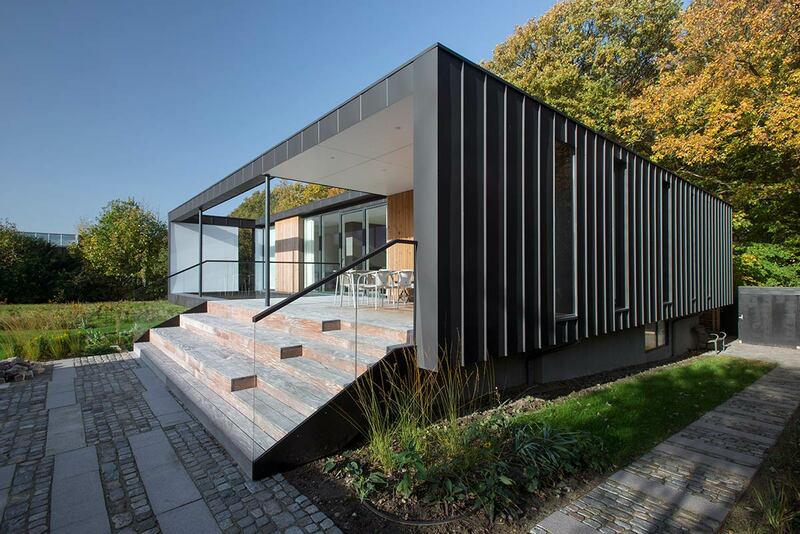 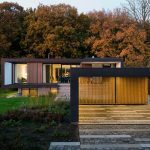 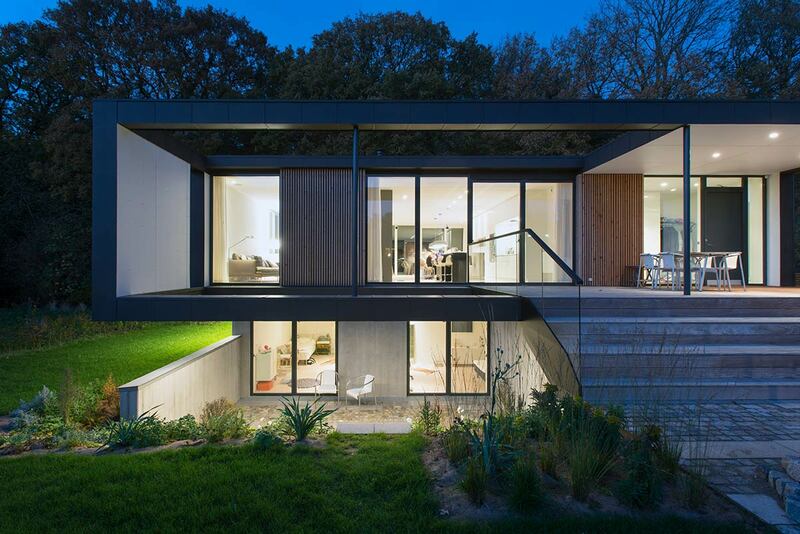 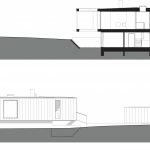 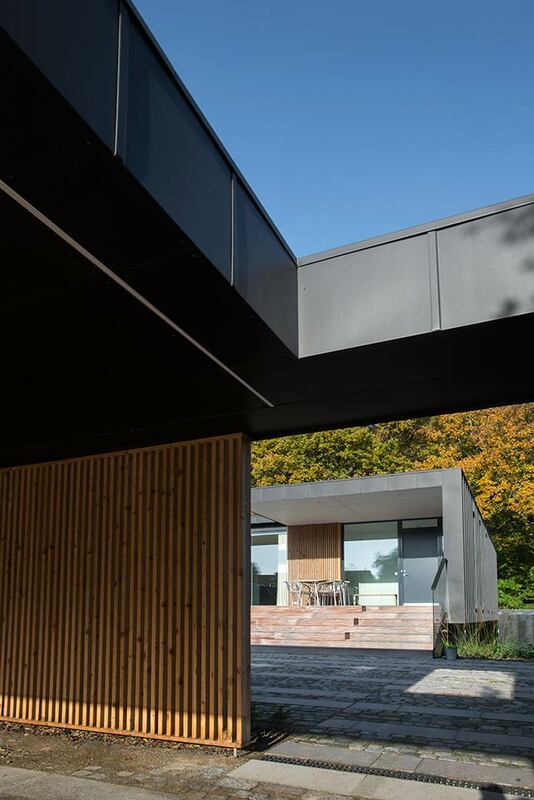 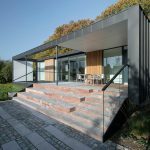 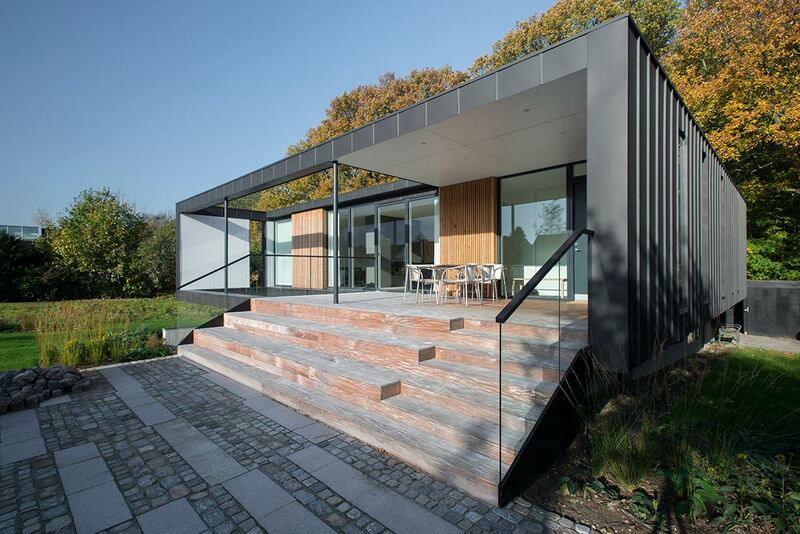 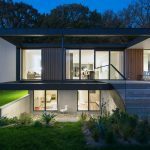 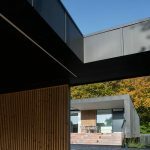 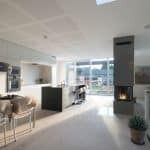 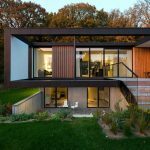 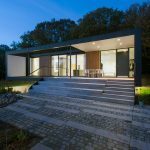 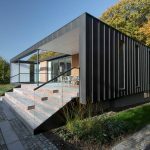 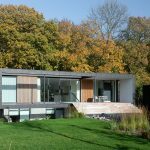 It contains living rooms with multiple aspects, facing the forest and treetops on one side, and receiving plenty of daylight from the other – and with access to a raised south- facing wooden terrace with sitting-steps.